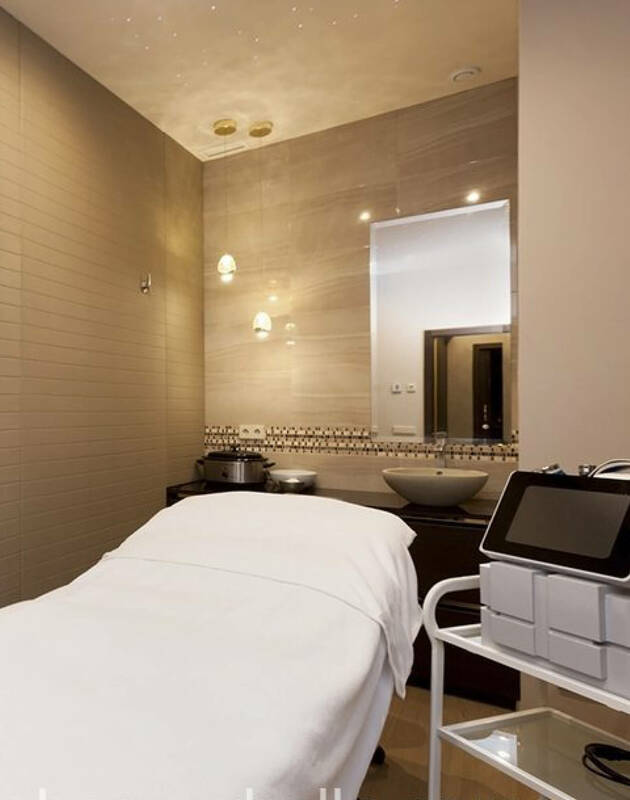 Making a spa treatment at Pure Skin Boutique & Spa a glamorous and relaxing escape on Marbella’s Golden Mile. 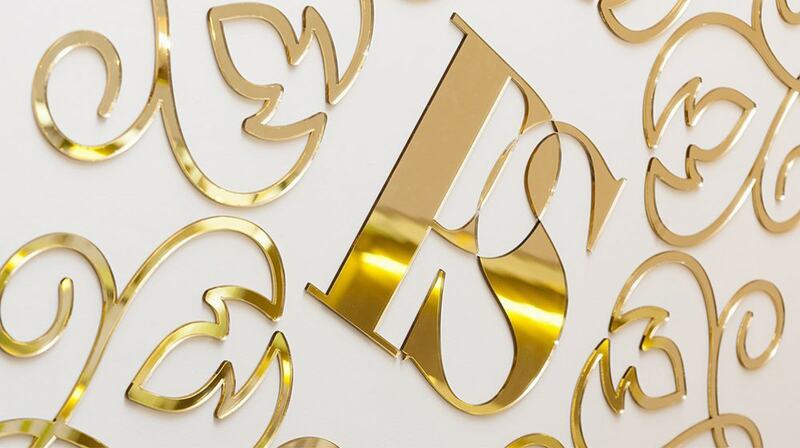 A quest to create a balance point for well-being, beauty and luxury. 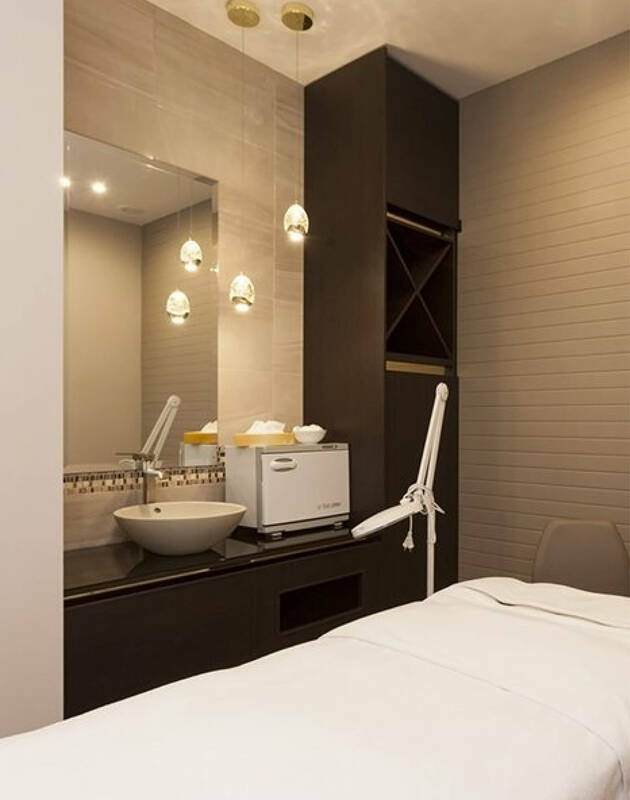 A palette of delicate nudes and rich golds create a sanctuary for indulging in the exclusive high-end treatments, while solid wooden floors and curved walls reminiscent of the human form deliver an organic feel that reflect the spa’s eco-friendly ethos and holistic approach. 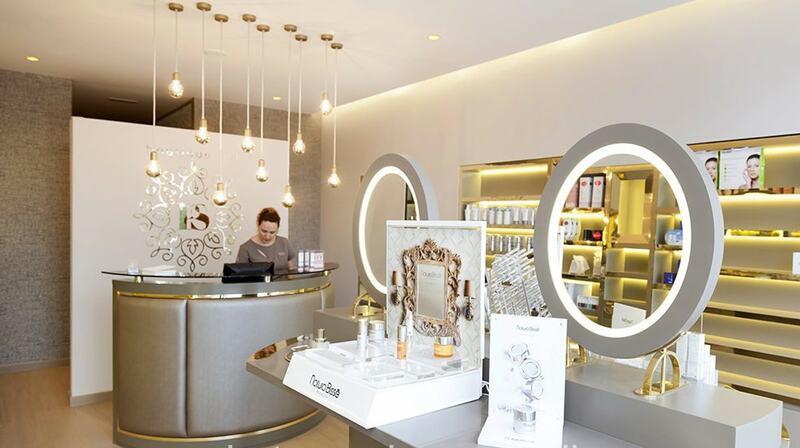 Decadent accents such as gold shelves in the reception and delicate glitter filled lamps in the treatment rooms add instant allure and charisma.